Speros John Kokonos, the former partner of Kokonos and Associates, joined Gibley and McWilliams in July 2010. With this association, he continued his career-long practice in insurance defense litigation in areas that include construction, commercial carriers, automobile and commercial general liability. Leading Kokonos and Associates for 15 years, his practice additionally concerned business law matters including litigation, contracts, sales and manufacturing, copyright, corporations, employment, commercial collections, real estate, transportation, shipping and business organization. 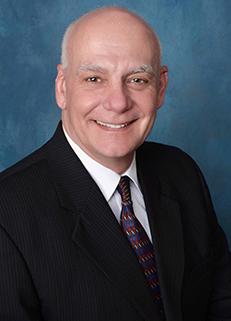 Attorney Kokonos, a former fire chief and volunteer firefighter for over 20 years, is also proud to represent and defend fire and ambulance companies and the municipalities which they serve in various civil litigation matters. His legal career was preceded by eight years of experience working as a machinist and a machine shop representative. This industrial experience complements his legal representation of commercial manufacturers and insureds in diverse matters including products liability, copyright, contracts and sales involving specially-manufactured goods. He has successfully litigated insurance and commercial disputes in the State Courts of Pennsylvania and New Jersey, as well as in the U.S. District Court for the Eastern District of Pennsylvania, U.S. District Court for the Middle District of Pennsylvania, the U.S. District Court for the District of New Jersey and the U.S. Court of Appeals for the Third Circuit. He is a member in good standing with the Luzerne County Bar Association.